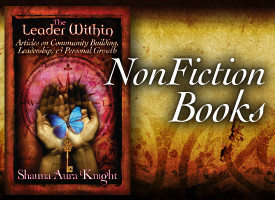 Check out my nonfiction books on topics of leadership, facilitating rituals, dreamwork, and personal growth and transformative work. 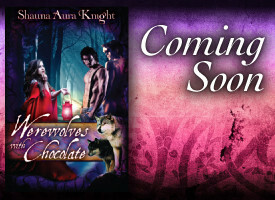 Take a look at my urban fantasy and paranormal romance books including Werewolves in the Kitchen. What fiction and nonfiction books are coming out soon? Get updates and read early excerpts here! 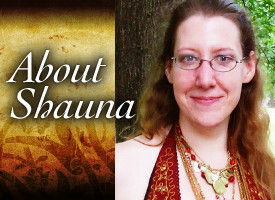 Shauna Aura Knight is an author, artist, designer, and presenter. Learn more about her work, find contact information, and more. 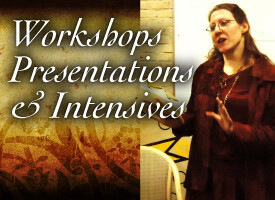 Learn more about the workshops and rituals Shauna offers. 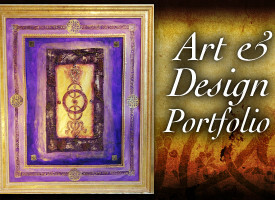 The main categories are, Pagan and small group leadership, ritual facilitation, personal/spiritual transformation work, creativity magic, and esoteric skills.